With the appearance of calf-skin, the 10mil single-ply Strata 1000 offers a warm and deep tone without the papery sound quality of other synthetic concert bass heads. With the appearance of calf-skin, the 10mil single-ply Strata 1000 offers a warm and deep tone without the papery sound quality of other synthetic concert bass heads. 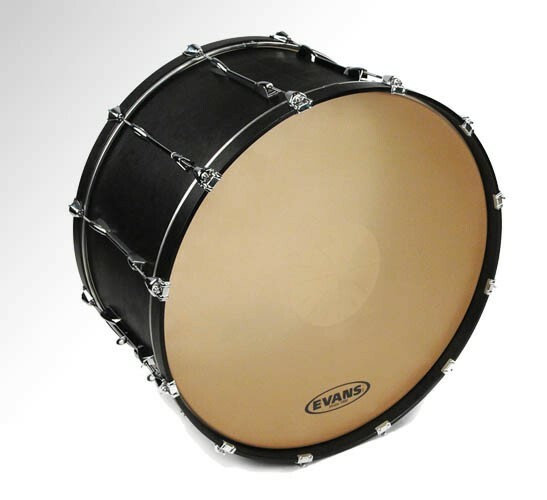 It delivers a full-bodied sustain, and a balanced attack that blends well with any orchestra. 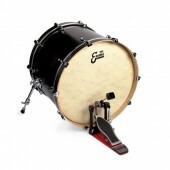 The addition of a reverse dot increases attack and low-end, making the drum sound larger and deeper.